Pretty fields criss-crossed with hedgerows, soft valleys and heather-clad hills with sweeping views; you'll find them all in the Sperrin Mountains. Despite being one of Ireland’s largest upland areas (it stretches from Strabane in County Tyrone to the shores of Lough Neagh in the east) the Sperrins range is an undiscovered gem – wild, untouched and so beautiful it has been designated an Area of Outstanding Natural Beauty. You can thank the ice age for the variety of landscapes on offer here. Barnes Gap, Gortin Glen and the beautiful valleys of Owenkillew and Glenelly were all scoured out by ice, leaving behind spectacular views of the surrounding countryside. Even on a mixed day, you can see as far as Muckish and Errigal in County Donegal. In fact, National Geographic thought so highly of the meandering, occasionally roller-coaster roads in the Sperrins that it included them in its prestigious Top 101 Scenic Drives in the World. The Sperrins is a particular paradise for walkers. Whether you’re on for an easy ramble of an afternoon, or in the mood for a hefty hike up into the hills, you’ll find it all here. Undulating hills, quiet valleys and boggy uplands are made for moderate rambles, but with 10 peaks higher than 500 metres, including Sawel, the highest, at a leg-stretching 678 metres, there are plenty of more challenging options. However, come prepared and wear boots – this is peat-bog country and you’ll need something tougher than trainers. We loved every step, did not see a soul. The peace, serenity and beauty of the landscape made it one of the loveliest walks I have done. These heather-clad moorlands are also popular with horse-riders, cyclists, mountain bikers and parachutists, while gliders take full advantage of the swirling air currents above Magilligan Point). An Creagán Visitor Centre nearby also offers a family-friendly interpretation of the surrounding bogland. The wild remoteness of the mountains isn’t just a boon to walkers. In centuries gone by, these hills harboured all manner of bandits and ne’er-do-wells, who preyed on luckless travellers. 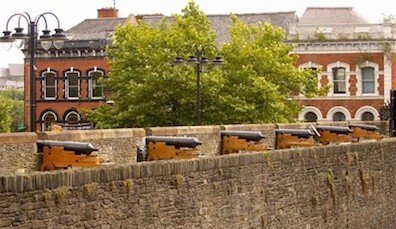 The most famous was one Shane Crossagh Ó Maoláin, a raparee (an ex-soldier turned bandit, named after the Irish for the weapon they used, the half-pike), who evaded the law for years but finally met his end on the gallows in 1720. You can still walk to the Robber’s Table, where legend has it that the thieves divided their spoils. 17th century bad guys are only a late chapter in the history of the mountains, for more than 90 sets of stone circles dating back to the Bronze Age have been found here. The most famous are the Beaghmore Stone Circles, which are in the southeast part of the range, along with several Bronze Age megalithic cairns and structures. Their meaning is lost, but they are aligned to the movements of sun, moon and stars. Hiking to them is like walking back in time. According to legend, after banishing snakes from Ireland, St Patrick trapped the last of their kind in a pool in Banagher Glen in the Sperrins. Ancient walls, quirky character, fabulous food and history to get your teeth into. This is Derry~Londonderry. 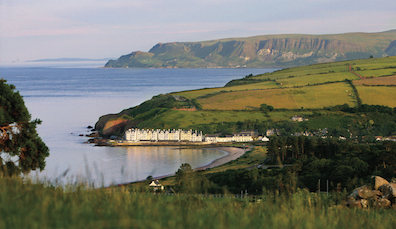 Stretching from Belfast to Derry~Londonderry, the Causeway Coastal Route is a true legend. 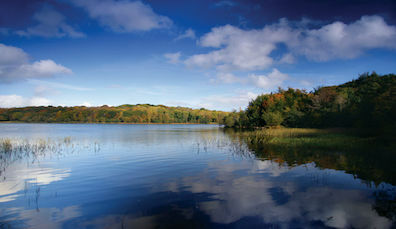 With its abundance of lakes, rivers and waterways, County Fermanagh is a water-lover's paradise.